Adrien Broner (29-1, 22 KOs) and John Molina Jr. (27-5, 22 KOs) face off this Saturday, March 7 at the MGM Grand Arena in Las Vegas, Nevada. NBC will broadcast the fight live beginning at 8:30 PM ET/5:30 PM PT. This fight will serve as the co-feature to the main event featuring Keith Thurman and Robert Guerrero in the first installment of the much talked about Premiere Boxing Champions series on NBC. The favorite in this fight will undoubtedly be Broner. Once thought to be a potential heir to Pound-For-Pound King Floyd Mayweather Jr., Broner quickly went from super featherweight titlist to a short stint as a lightweight champion before grabbing a paper title at welterweight. But Broner’s star fell considerably in 2013 after a sub-par win over Paulie Malignaggi and a loss to Marcos Maidana. Broner is still in the rebuilding stage at this point in his career, but three straight wins in the junior welterweight division, where Broner is not under-sized and outgunned, would put him in a good position to contend for a title later this year. Molina’s career is marked with many up-and-down, but memorable performances. After suffering his first loss to Martin Honorio in 2009, Molina moved on to stop Hank Lundy in a fight he was losing. Molina reeled off three more wins before getting his first title shot against Antonio DeMarco in September of 2012, only to lose by knockout in 44 seconds. Molina then followed up a win over Dannie Williams with a loss to prospect Andrey Klimov. 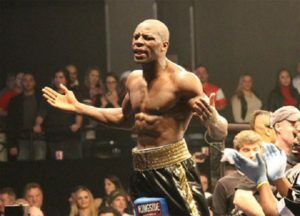 In his very next outing, Molina came in as the underdog against Mickey Bey, but snatched victory from the hands of Bey in the tenth and final round of a fight he was losing. Molina has since been unable to parlay his big win over Bey into another title shot, and comes into Saturday night’s fight against Broner a loser in his last two fights; an eleventh round KO loss to Lucas Matthysse and a unanimous decision loss to Humberto Soto. Broner’s performances often seem to hinge on the flip of a coin. Sometimes he is flashy and dynamic, throwing blistering, powerful combinations and showing flashes of a solid defense. Other times he is flat footed, firing off one big shot at a time from behind a porous defense. At his core, Broner has great hand speed and solid foot speed. His power came up with him to lightweight, but was not there when he made the jump to welterweight. Since his move back to junior welterweight, Broner has shown flashes of the speed, power, and combination punching that made so many predict big things for him, but he’s failed to finish each time out. Molina is a solid puncher with a tendency to go to the body often. He throws with good power in each hand, but his right hand is his money maker. Molina often throws his shots from wide angles and can be countered on the inside by much faster men. Molina is mostly inept when forced to fight moving backwards, and his strength lies in his ability to come forward and press the attack. Broner will need to go back to the basics to win on Saturday. A liberal application of a solid jab will go a long way in keeping Molina from dictating the pace and sitting down on his punches. 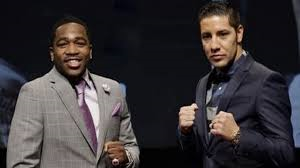 And as Molina tends to lean in on his opponents, Broner’s uppercut can be a big weapon when thrown behind his jab and a range-finding right hand. Molina will have to dictate the pace early on while Broner is settling in and looking for his rhythm. He should look to fire his left hook to the body early on to get Broner’s guard down. In the middle rounds, Molina can open up Broner by firing his left hook from a lower angle and shooting it up to Broner’s head. 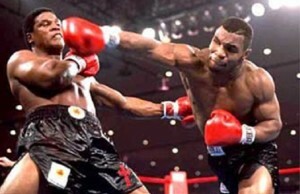 Molina should also look to keep moving and avoid Broner’s fast counter shots in close quarters. Molina is a solid “every man’s fighter”, but the years of tough outings and brutal battles look to be taking their toll. Expect Broner to have his way with Molina, starting sometime around the third or fourth round on his way to a ninth round stoppage win.